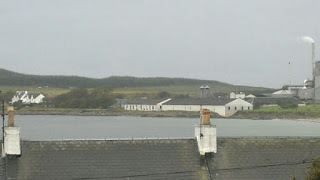 Just back from a couple of days on Islay, needless to say despite the weather it was hugely memorable and, well, amazing. Just watching a group of Japanese visitors land at the airport while I was ready to depart showed how everyone wishes to visit the island, and what Islay means to malt fanatics. They seemed so excited and took about 20 minutes of photographs and poses before leaving the runway and terminal! 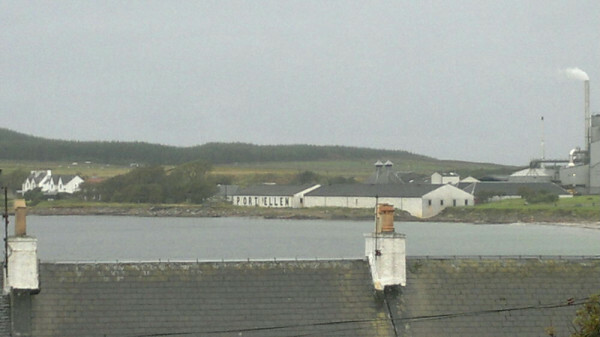 I did manage to visit all of the distilleries on the island in just under 2 days. So expect plenty of content and thoughts over the next couple of weeks. Sadly I couldn't fit every tour in but did manage photographs whenever possible. 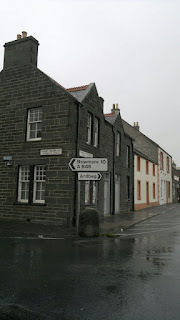 The 2 we did visit but failed to tour due to time constraints were Kilchoman and Bunnahabhain. Lagavulin was in its silent season so this trio will be on our hit list next time. Of the remainder I was fortunate to have a special tour at Ardbeg due to winning their Ardbeg Day event in Edinburgh earlier this year - so this won't be representative of a normal tour. And for Bowmore I gave myself a real treat (and what a tour it was) with their Craftsman tour, costing £45 but worth every penny. That's more than enough content to keep us going!